Experience the thrill of a lifetime. All of the tools you need to plan your trip can be found here. Explore the calendar of events, check out the Broken Paddle Bar & Grill food menu, and plan your overnight stay in historic Jim Thorpe. For a more personal experience, give us a call at 1-800-WHITEWATER (1.800.944.8392). We like to make things simple. 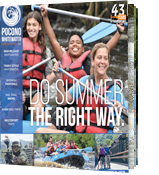 This calendar is a comprehensive look at everything happening at Pocono Whitewater. Plan your trip with ease, get ideas for upcoming vacations and explore combo adventure dates. Staying for a night or two? 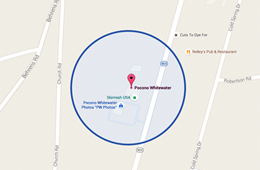 Poconos Lodging: There are a variety of accommodations within minutes of our whitewater rafting facility. Are you on a budget or looking for package deals? Maybe you would prefer to stay in luxury? Whatever your preferences are, there is a property below to meet your needs.